For the third year in a row, Amazon is celebrating its popular "holiday," Prime Day. 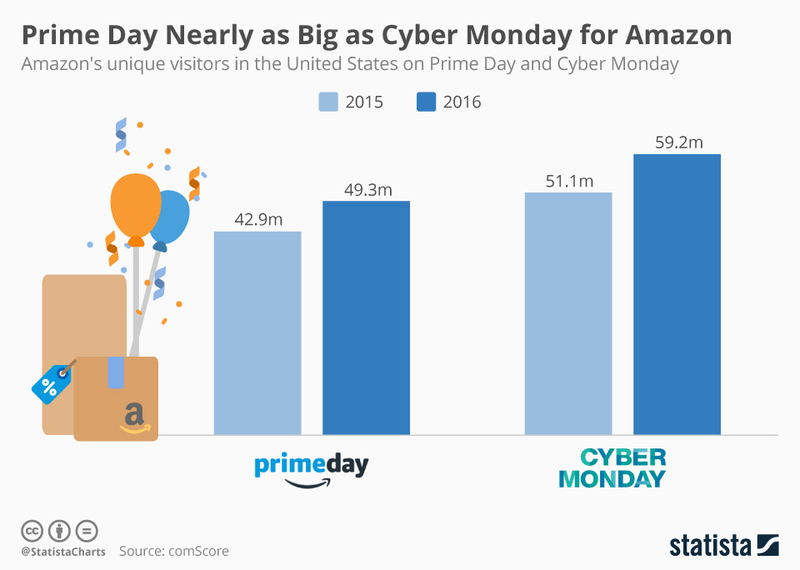 This promotional event is available to the online retailer's droves of Prime members and according to an article on Statista.com, written by Felix Richter, the day rivals the annual online shopping juggernaut, Cyber Monday. The article states that in 2016, almost 50 million Americans visited Amazon on Prime Day.